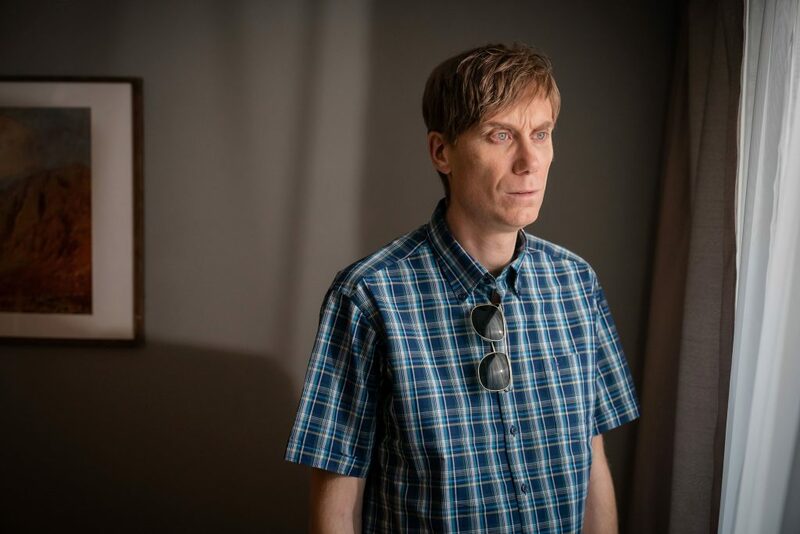 FUNNYMAN Stephen Merchant looks unrecogniseable as serial killer Stephen Port in the upcoming factual BBC drama The Barking Murders. The first image to be released shows the actor – best known for his comic collaborations with Ricky Gervais – completely transformed as the ‘Grindr killer’. He’s photographed staring chillingly out his window dressed in a plaid shirt, with sunglasses resting on his chest and his hair combed forward. “This is a story that can’t be ignored – how four young lives were lost and their families’ brave attempt to uncover what happened,” Stephen said upon joining the all-star line-up, which includes Sheridan Smith, Jaime Winstone and Rufus Jones, in the three parter.